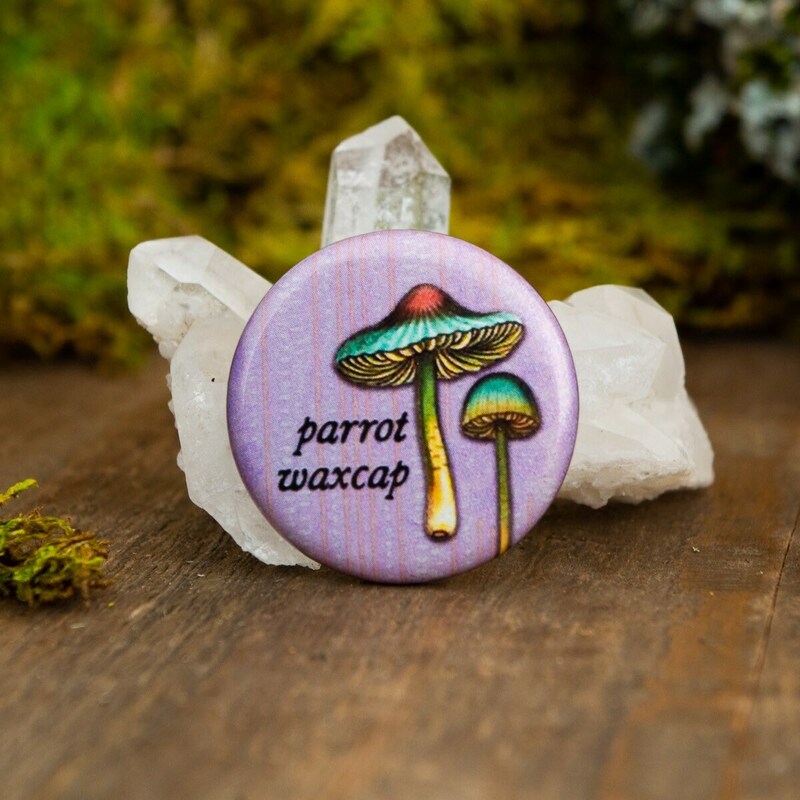 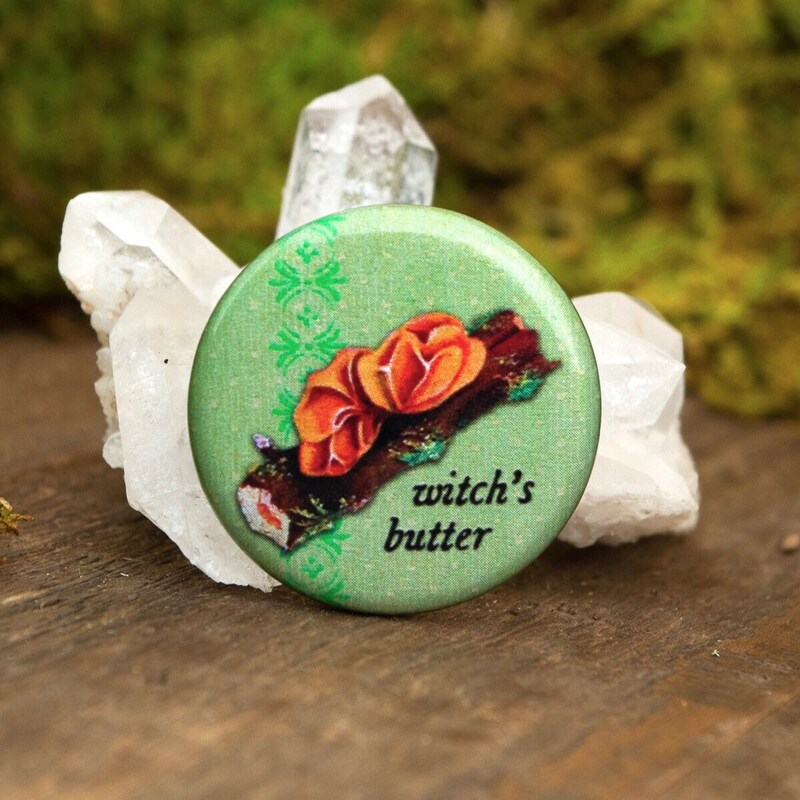 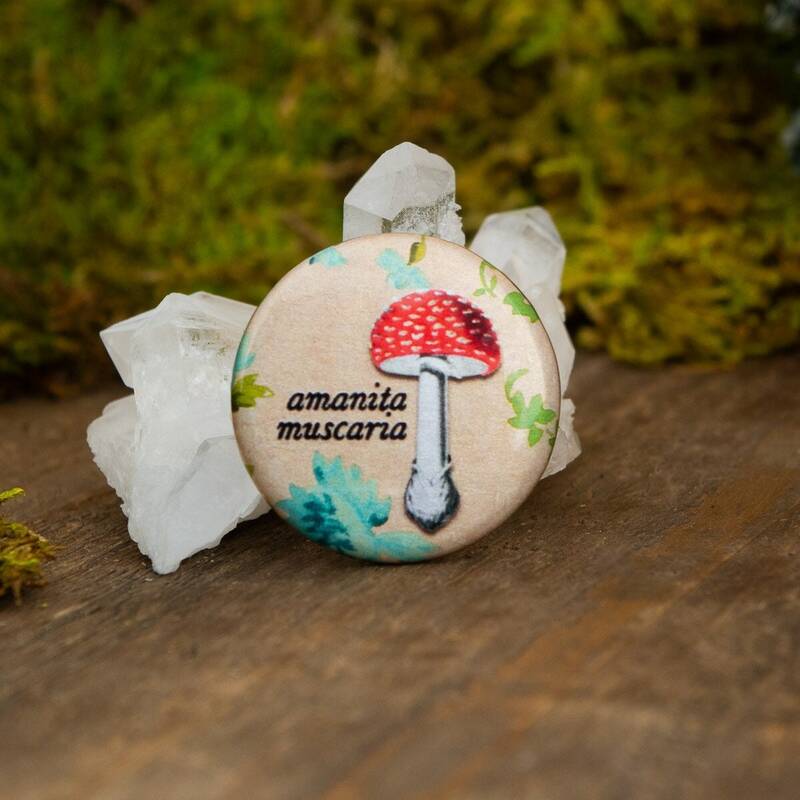 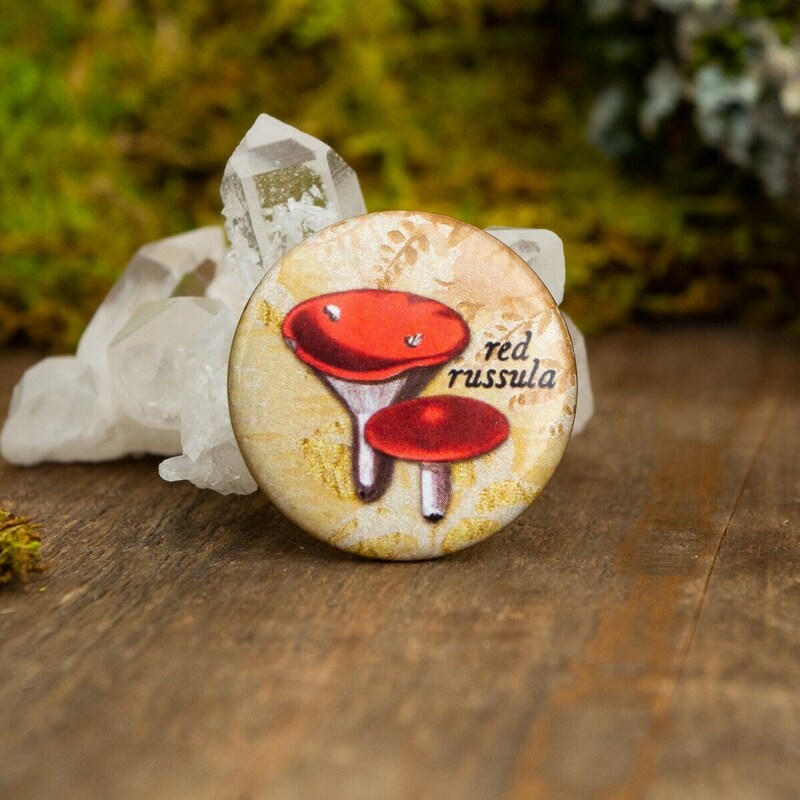 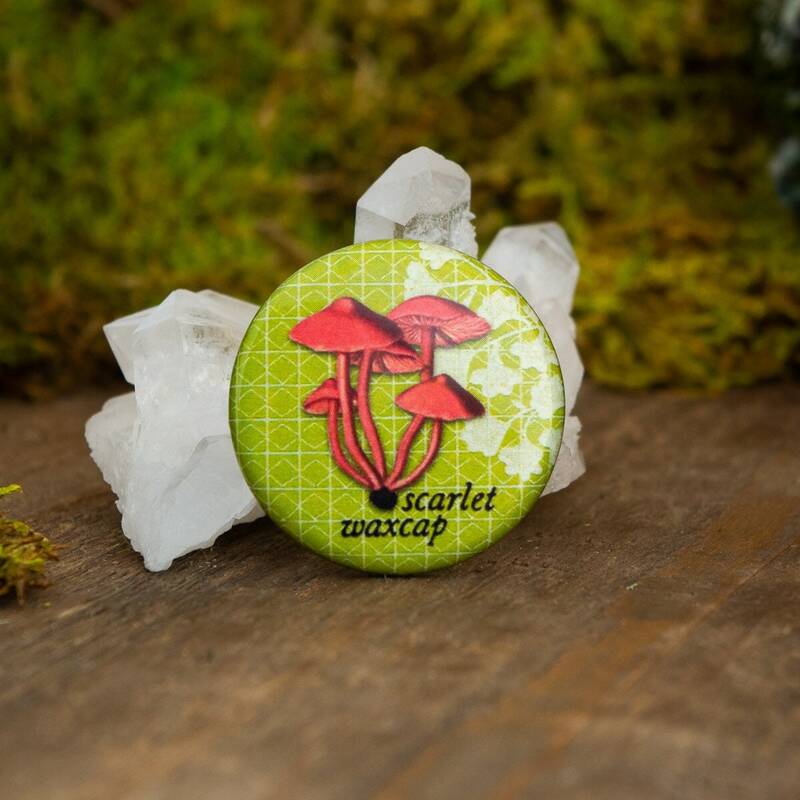 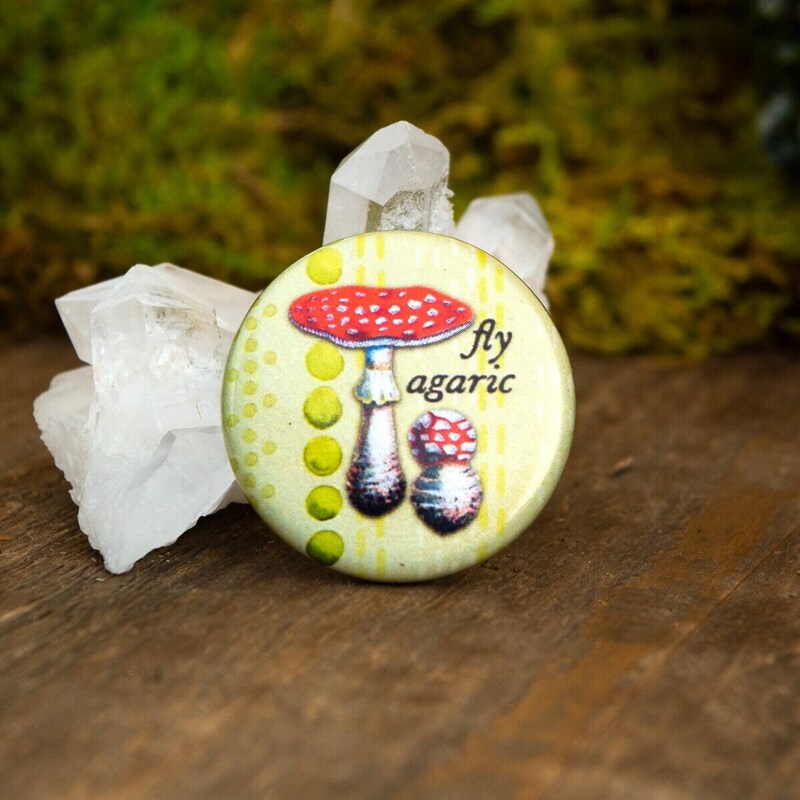 Made with mycophiles in mind, each button features a vintage mushroom illustration on Victorian wallpaper with its’ common or scientific name. 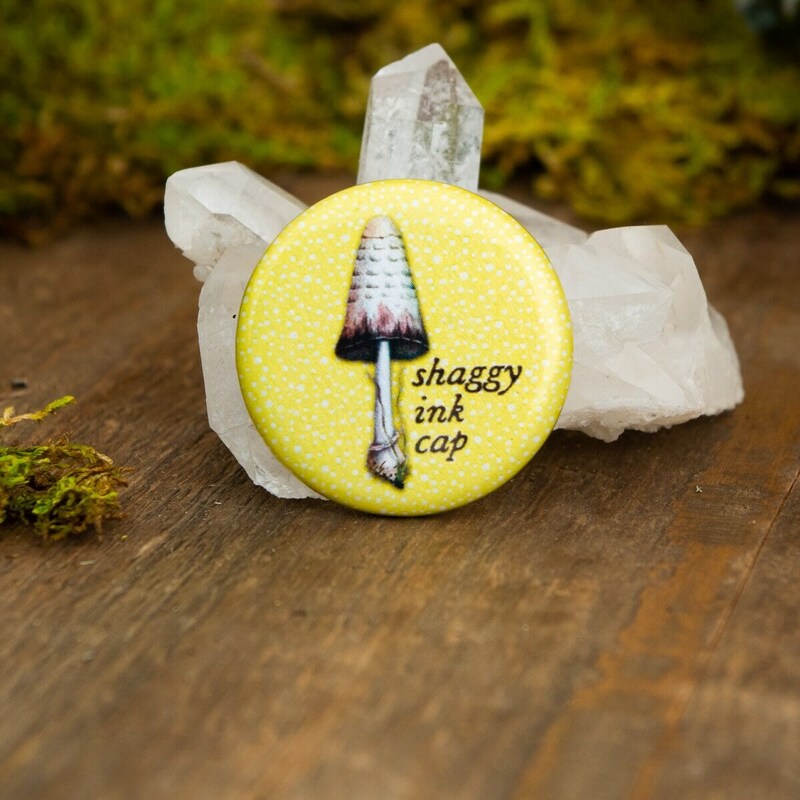 Ten designs to choose from! 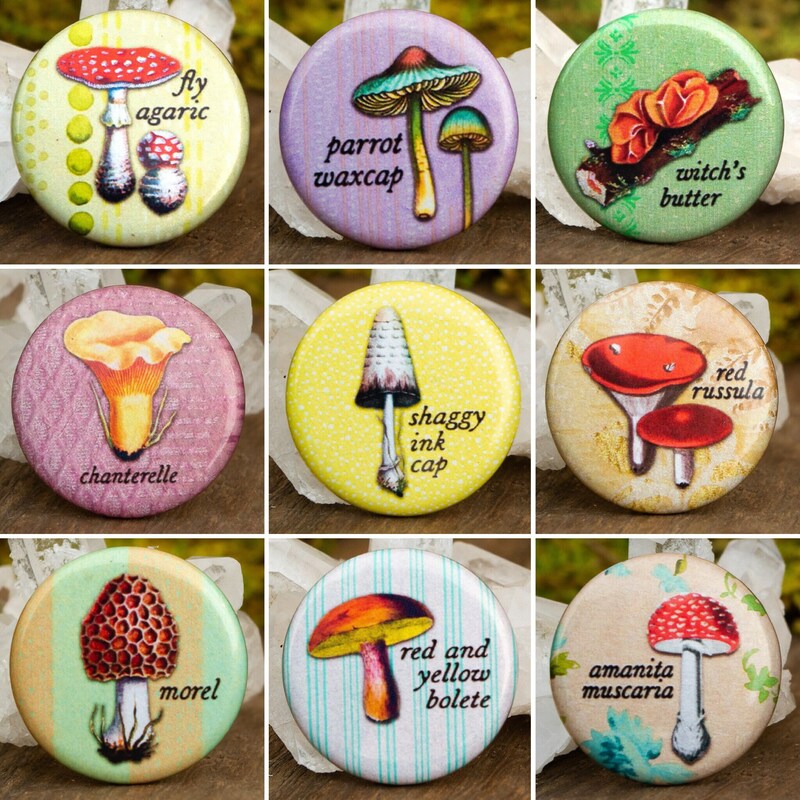 Can’t decide which you like the most? 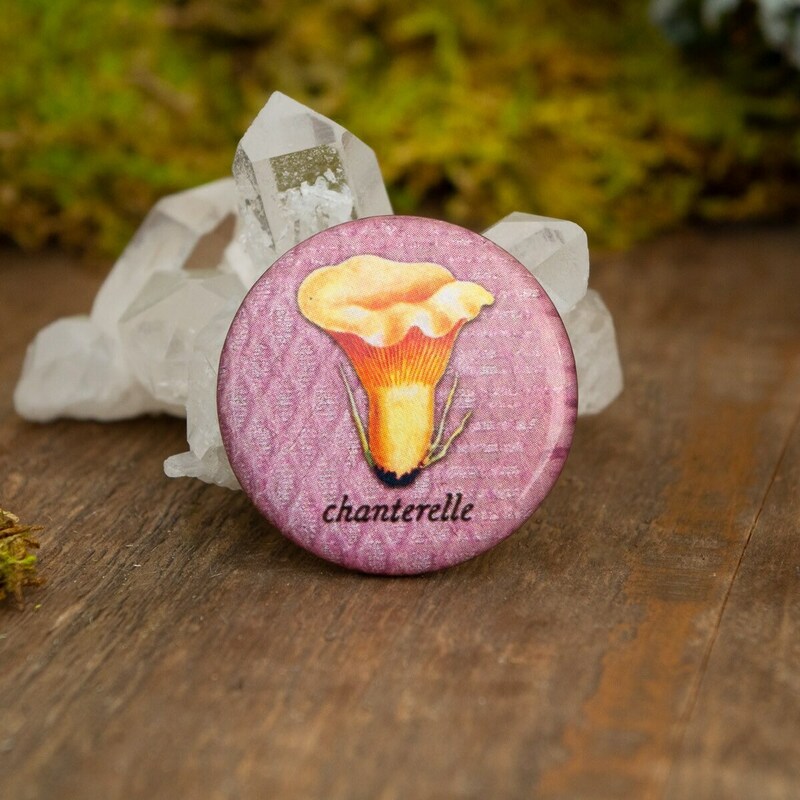 Get one of each design and save $2 when you choose the 10 pack option! 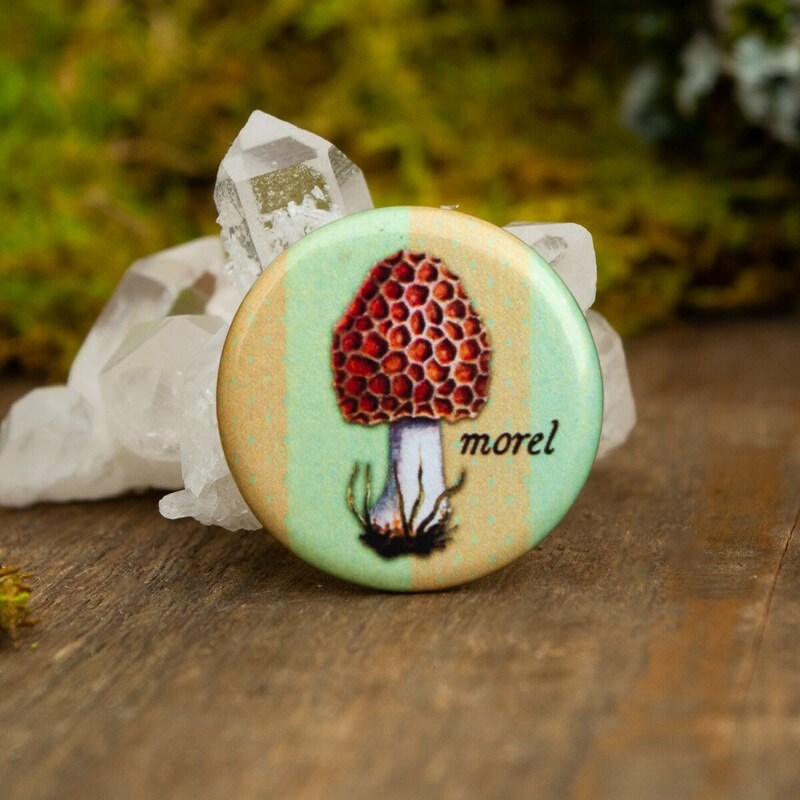 Each button is made to order, please allow five business days for production before shipping.